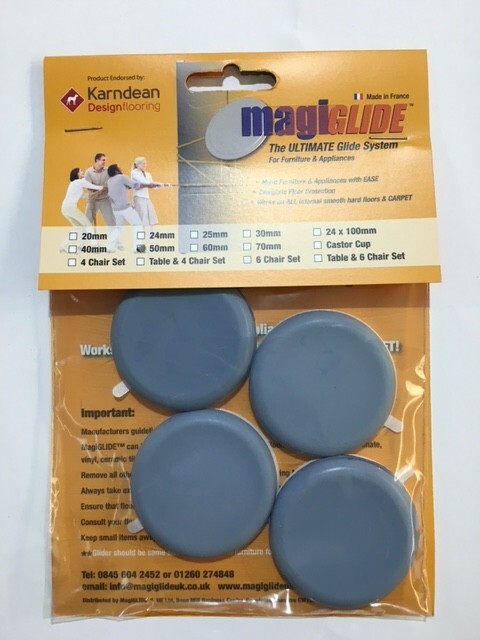 MagiGLIDE Furniture and Appliance gilders have a unique performance capabilities, with smooth, silent & easy movement of heavy items, up to 600kg with the added comfort of complete floor protection. When selecting which is the right glider for you, always ensure that the glider is the same size or smaller than furniture/appliance foot. When fitting always ensure that the surface of the foot is clean (free from grease and dirt) and dry before applying self adhesive pad. 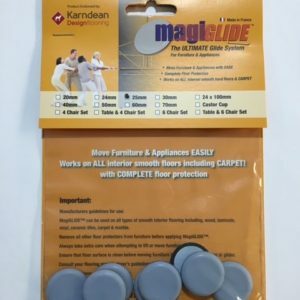 If you want to move heavy furniture in and out of your home or from one room to another, you’ll need these MagiGlide floor protectors. Not only will they help you move heavy items more easily and quickly, but they will maintain the beauty of your floors intact. 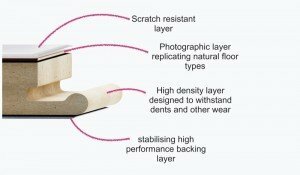 The smooth round shape and the 50mm diameter are designed to fit perfectly underneath your furniture’s feet thanks to the self adhesive pad. 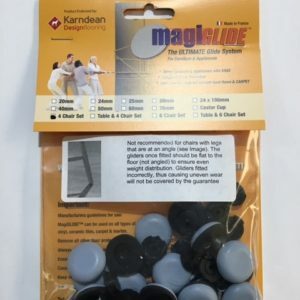 The gliders will protect various types of flooring, from engineered, solid wood and laminate to ceramic and marble or even carpets.